Each month thousands of people search Google for the “purchase funnel” presumably to learn more about how consumers making their purchase decisions. The number of searches is actually on the rise, up 23% according to Google year-over-year. Yet, I’d venture big data, or more importantly, small data that is meaningfully categorized and parsed, has made the purchase funnel obsolete. As many marketing professors would tell you, the purchase funnel played an important role in understanding the various stages a consumer must pass through before converting into a customer. Its linearity and simplicity used to be its beauty, but the wealth of data has changed all that. 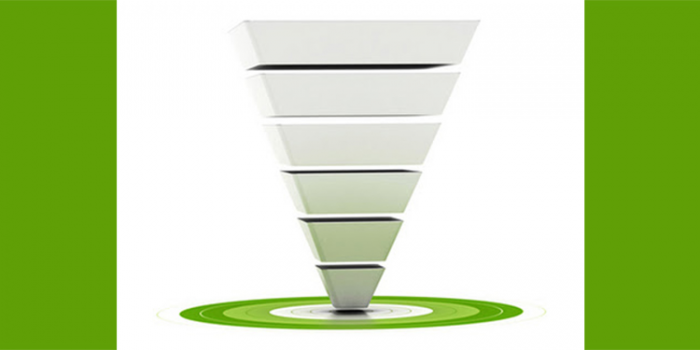 Consider these three reasons why big data killed the funnel as we know it. The biggest flaw in today’s purchase funnel is its failure to account for or illustrate repeat purchases and the unique way that customers must be communicated with in different ways than someone who has yet to make a purchase. In one of its most basic functions, data can show a company who their current customers are, or who has opted in to receiving marketing messages from the company. Speaking of databases, the rich amount of insight into each unique customer, from their buying habits to preferred communication channel are often ignored by the funnel, which aren’t taken into account when it was first introduced in 1924. Knowing the lifetime value of a customer or their influence in the social sphere dramatically changes the dynamics of how an organization would communicate with its targets. Today’s marketing efforts driven by data ranging from consumer buying behavior to weather forecasts eliminate entire segments of the funnel based on the sheer speed of the purchase decision. Different than an impulse buy, a flash sale for umbrellas on a rainy day deployed to select customers in that geography who have the right profile is an example of a marketing tactic that minimizes awareness and consideration phases which are treated as equal by the purchase funnel. So if the purchase funnel is dead, what replaces it? Consider the work of McKinsey’s David Edelman to illustrate how the linear funnel has shifted to the cyclical consumer purchase journey. Big data plays an integral role in preserving customer loyalty, enabling CRM and foster a two-way dialogue with consumers. It’s time to retire the purchase funnel and move forward with the journey.